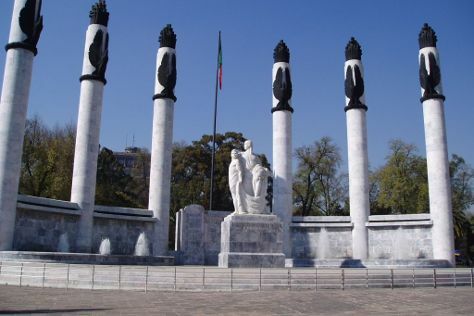 Get in touch with nature at Chapultepec Park and Monarch Butterfly Biosphere Reserve. Get out of town with these interesting Mexico City side-trips: El Nido (in Ixtapaluca) and Cuernavaca (Spanish Language Institute - Day Course & Canyoning & Rappelling Tours). There's still lots to do: see the interesting displays at National Museum of Anthropology, make a trip to Zocalo, explore the ancient world of Zona Arqueologica Teotihuacan, and take in the spiritual surroundings of Metropolitan Cathedral (Catedral Metropolitana). For ratings, photos, traveler tips, and more tourist information, read Mexico City day trip app . April in Mexico City sees daily highs of 31°C and lows of 15°C at night. Finish up your sightseeing early on the 17th (Wed) so you can travel back home.